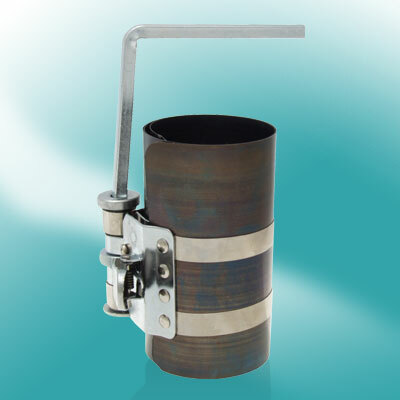 Such type of Piston Ring Compressor Cylinder Automotive Hand Tools is specifically designed for compressing the piston rings when a piston is re-installed. This is accomplished by opening the Piston Ring Compressor enough so that the piston will slide into the opening. Then the rings compress by tightening the tool so that it is snug around the piston. Size: 7.6 x 5.6cm (the cylinder).